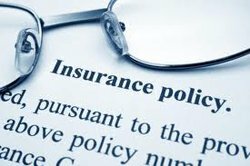 The majority of insurance policies, particularly for houses and commercial properties, include an arbitration clause. This means that if a dispute arises between an insurance company and a policy holder then the issue must be referred to Arbitration. It is very important that the policy holders seeks legal representation at this stage, to ensure that the dispute is resolved as quickly as possible. Often it is necessary to seek a High Court Order to have an Arbitrator appointed or to enforce an Arbitrator’s award. Disputes can arise in many different areas including Permanent Health, Critical Illness and Mortgage Payment Protection Policies. Unfortunately, by their very nature these disputes are extremely time sensitive, as often the policy holder in question is relying on their insurance company to pay out without delay. Gerard Burns has extensive experience in this area and has brought countless Arbitrations to swift and satisfactory conclusions.